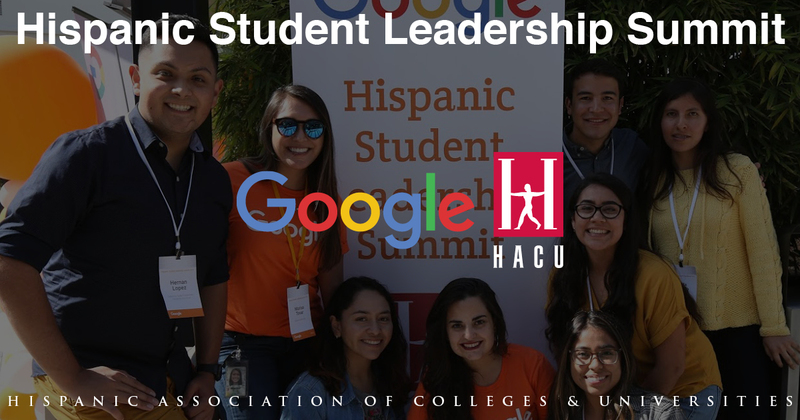 The Hispanic Association of Colleges and Universities is once again partnering with Google to co-host a Hispanic Student Leadership Summit in Austin, TX, on April 5-6, 2019. Google will select 50 undergraduate student leaders with a passion for tech and an interest in growing their leadership skills for the two-day summit. The agenda will include breakout discussions, networking with the Hispanic Google Network, student group presentations, and a unique celebration for Summit attendees. The Hispanic Student Leadership Summit, now in its third year, was created as an effort to bring Hispanic leaders together to share innovative and creative best practices with one another, as well as collaborate with Google’s Hispanic leadership to benefit their universities, student organizations, and communities. The Summit is open to any undergraduate student currently enrolled in a degree-granting program in the United States including Puerto Rico. Acceptance to the 2019 Hispanic Student Leadership summit includes financial sponsorship for travel and accommodations. Sponsorship includes a round-trip flight to Austin, Texas (from within the U.S. and Puerto Rico), Lyft credits for ground transportation to and from the airport and the hotel, arranged hotel accommodations from April 4-7 (3 nights), and all meals. How to Apply: Submit a completed application form no later than Friday, Feb. 22, 2019. Students must include a resume or CV with application. Google will confirm selections by March 1, 2019. For more information and to apply click here. 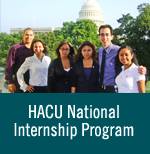 For questions, please contact Gaston Cantu, HACU Director of Student Services, at 210-576-3250 or email gaston.cantu@hacu.net.